Aaron Pott and I walked through a vineyard in the Stags Leap District of Napa Valley one day, musing and discussing the surrounding landscape. We both commented on how deep and dark it was; the rugged cliffs seemed to contain a story and a secret. Our conversation turned to literature and we bantered back and forth about the Welsh poet, Dylan Thomas. We sat down to chat with one of the most prolific growers in Napa Valley and the Stags Leap District. Surrounded by his vineyards, iconic winery and art collection, we convinced him to sell us grapes from the fabled Stags Leap Ranch Vineyard. This new chapter in our lives would be called "Dylan's Ghost", and would emphasize Aaron's philosophy of winemaking without intervention, as well as, finding the poetry and power of the surrounding terroir. 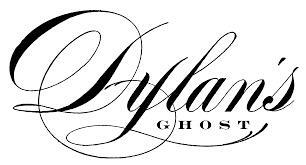 Three years went by, and today, we are proud to release our inaugural vintage of Dylan's Ghost. "Black cherry, toffee, vanilla, black currant, cocoa, rich attack of coconut, cherry and nutmeg, medium density, with good structure and close knit tannins."